Standard Chartered credit cardholders in six countries will get up to 25% cashback for all global Uber rides. 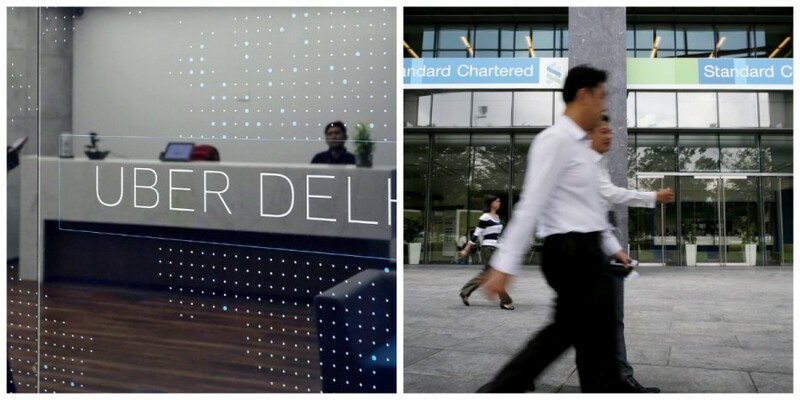 Cab hailing aggregator Uber and London-based Standard Chartered Bank (SCB) announced a tie-up on Monday that will enable the bank's credit cardholders in six countries to get up to 25 percent cashback on Uber rides. SCB cardholders in India, Vietnam, Singapore, Malaysia, Indonesia and the UAE will be able to get cashback on all global rides, SCB said in a press statement on Monday. The offer is available to all SCB cardholders in Singapore, Malaysia, India and Vietnam, Indonesia from Oct.1, while the date of availability for UAE cardholders will be announced "in the near future," the bank said. In India, SCB cardholders will receive 20 per cent cash-back on all Uber rides, subject to a cashback cap of Rs 600 per per month. "There has been a dramatic shift towards digital and cashless payments across the region and we are seeing success in the seamless integration of the Bank's services in our clients' everyday life," Sebastian Arcuri, Regional Head, Retail Banking, ASEAN and South Asia, Standard Chartered Bank said. Uber said that th tie-up will bring "more value" to SCB credit cardholders. "We look forward to welcoming cardholders as first-time Uber riders to join over 50 million riders globally to experience the ridesharing revolution," Chan Park, Uber's Regional General Manager for Southeast Asia, said. Uber had announced a tie-up with American Express Bank last month benefitting the bank's credit cardholders. "The tie-up allows AmEx to integrate its Corporate Card programs with Uber's corporate platform 'Uber for Business,'" the taxi-hailing aggregator said in a statement on Sept. 28, 2016. San Francisco-based Uber claims it has over 50,000 business enterprises worldwide that use "Uber for Business" for their mobility solutions. Billed as the "most valuable start-up" at about $66 billion, Uber's operations in India cover 28 cities and is a significant market. "India accounts for 12% of all rides on our platform globally and there remains tremendous potential," Amit Jain, Uber India president, told Bloomberg.